Project begun on 2012 in Pesaro, when the singer, guitar player and frontman “Jack Stone” (Giacomo Magi) decided to start a rock band, inspired by his past experience playing in many music club in Firenze. Bass player Fabrizio Raffaeli answer to an ad and meet Jack Stone, they talk about the band. After one year, one line up with 4 musicians starts first practices, with Fabrizio Ricci on drums and Michele Greganti on second guitar, driven by desire to tell their feelings, with simple but never predictable texts and a decidedly rock shot. Guys play into industrial garage in Fano, little town far 12 km, from Pesaro, detail that will be decisive for the name TWELVE. 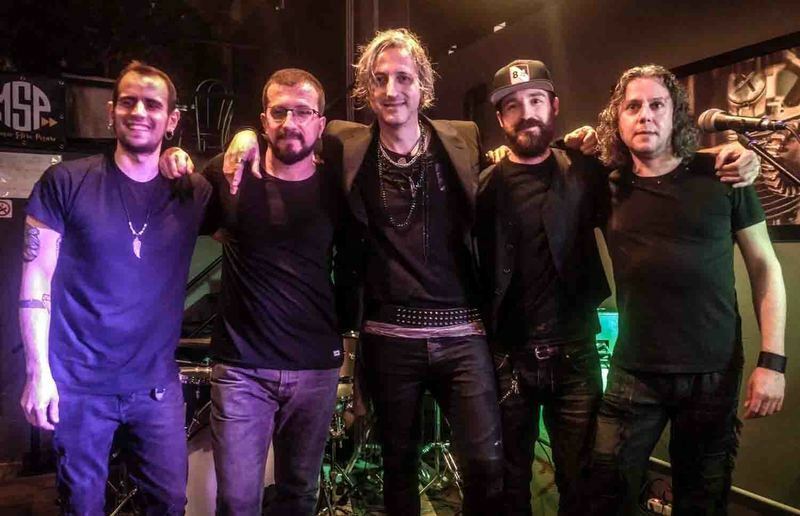 Following months a new guitar player, Matteo Giommi, joins the band; Jack Stone dedicates only at sing and the band starts to create first songs. In 2014 the band recorded a three songs demo, “ 10 minutes rock “ , by which it won a contest to attend a live session in Roma. Meanwhile start first live performances, at underground clubs in Roma, Firenze and Milano. TWELVE attend to important festivals also in Pesaro (Zoe Microfestival) and nearby cities, especially at Motor & Music Show in Sterpeti, where won a contest for emerging band. At the same time it begins the recording of their first studio work, “Lost in Paradise”. Track “Free Woman” was published on October 2015 together with related video clip. Totally self-produced, album raise interest around rock circle, and leads to a radio interview and attendance to “International Tattoo Expo 2016”, organized at Pesaro on January 2016. Set aside first success, TWELVE realize that to stand out a change of gear is needed. So start to do new songs, but this time with cooperation of Pietro Foresti as artistic producer. Finished pre-production the band go to recording studio to play next album. Tracks sent to some labels, raising interest of well know music insiders. Looking at the proposals TWELVE decided to sign their first deal with V_REC MUSIC LABEL / DAVVERO COMUNICAZIONE, by David Bonato. 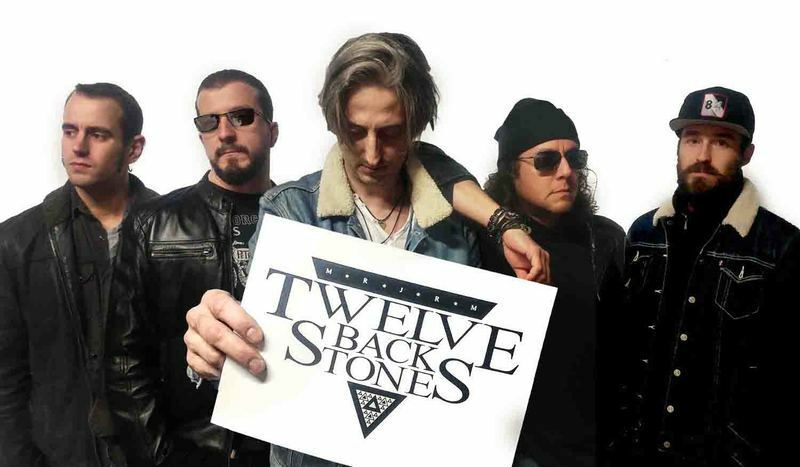 The name of the band change in TWELVE BACK STONES. 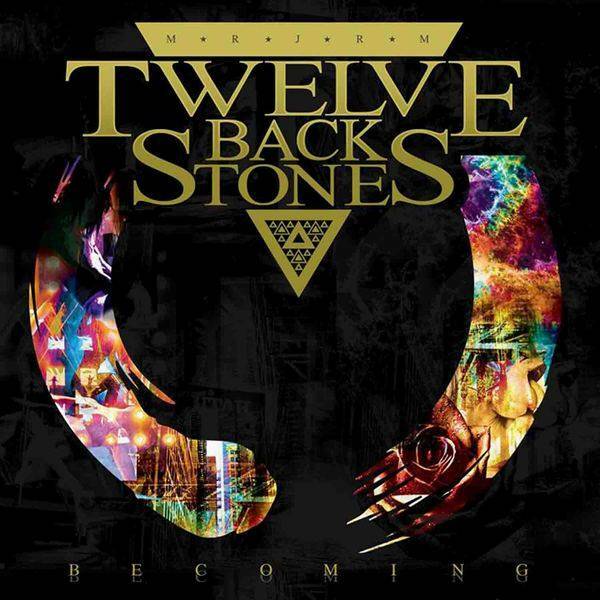 Interesting new band from Italy we have here; TWELVE BACK STONES and their debut CD titled "Becoming". 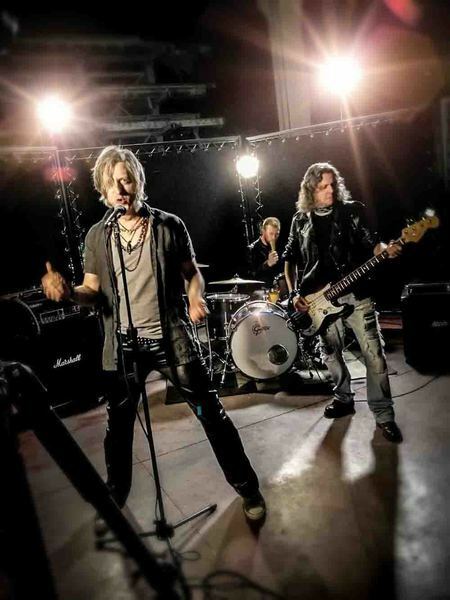 The group was formed in 2012 and released an EP under the name 'Twelve', but after that changed to TWELVE BACK STONES.What I like from these guys most are their '70 / '80 / '90s hard rock influences seamlessly blended into a cohesive LP.Indeed, while reading the varied influences into "Becoming" it would seem a disparate album, all glue very well resulting in a really interesting and enjoyable experience.Overall, the sound and Twelve Back Stones' style brings to mind The Cult - the 'American' years of the band - thanks to the really good production of Pietro Foresti (formerly with Tracii Guns, Scott Russo, and others) that gave the group a typically American rock sound.On 'Liar' the band sounds like ex Guns N' Roses Gilby Clarke solo albums meets The Cult circa 1991, 'Black Rose' adds some kind of Slash's Velvet Revolver punch, while 'Drive Crazy' has some Inxs rocking side in its verses.Midtempo 'On the Road' is pretty '80s with nice atmospheres, then 'Whiskey and Flower' is a very nice bluesy semi ballad with a Seventies feeling, and I hear a little of 1983 U2 into the catchy 'Wild Sun'.As you see, a quite varied album.The driven force in Twelve Back Stones is front man Jack Stone Magi, owner of clean vocals and a truly Americanized way of singing, and also the complete guitar work of both guitarists creating strong riffs and to-the-point solos. "Becoming" is an enjoyable listen, timeless hard rock / classic rock skilfully written and wisely produced (very clean) to capture all the band's influences into an organic sound.